Sportbikes are mechanical and technological marvels. When you have a motorcycle capable of going 130-150 mph, you need things to go right and to work. They have an image and expectations to live up to and the pressure is on because the target audience is counting on it, even relying on it. That's why used sportbikes can be a treat to shop for because there's a little something for everyone. Obviously, we're aware that there are more than five bikes that should make this cut—the treasure cove of used motorcycles is filled with riches, but we stuck with five. 300 cubic centimeters of furious fun! 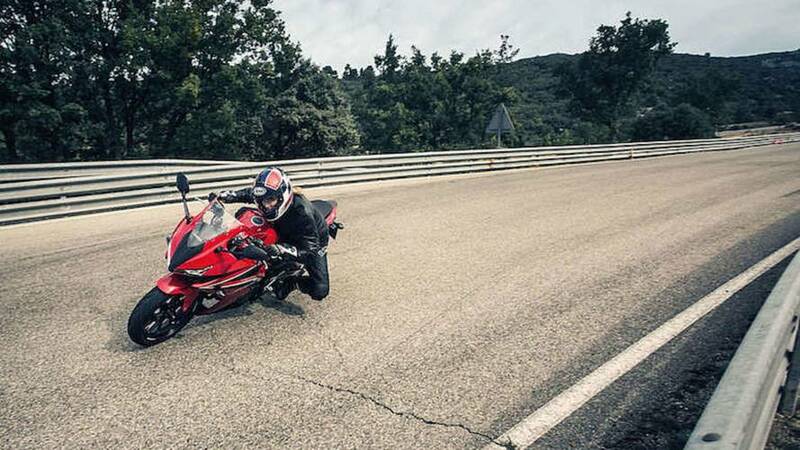 Released in 2015, the Honda CBR300R evolved from the popular CBR250R that debuted in 2011. 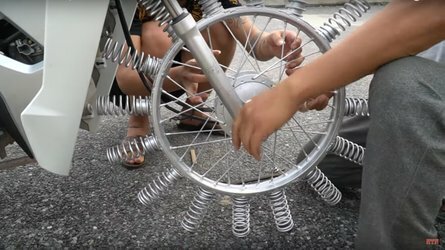 Small, lightweight, and extremely flickable, these bikes came with Honda's 286cc single mated to a six-speed trans. 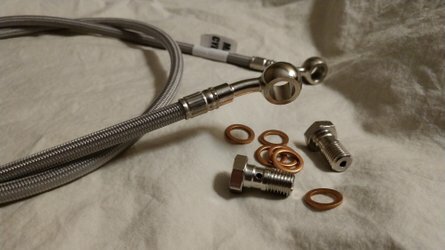 For a few extra dollars you could get yours equipped with ABS, which is a pretty fancy upgrade for a bike so small and simple. Honda's legendary reliability and engineering combined with solid CBR-R family looks make it a winner in both the form and function categories. 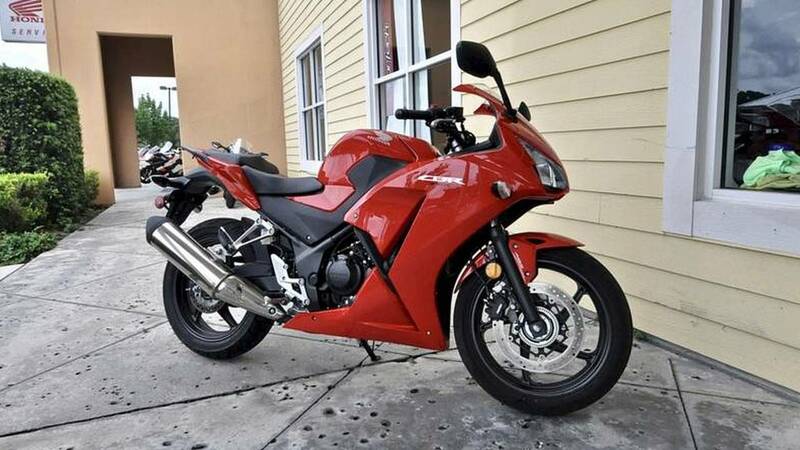 This first generation, 2015 CBR300R comes from Florida. It has fewer than 300 miles on the clock, which is just criminal, and has the ABS upgrade. It's essentially brand new, and is worth every penny of its $3,499 asking price. To this day, the SV650 remains a well-rounded bike. The Suzuki SV650 is a pretty good starter model for new riders—or any rider really. Its smooth-running V-twin engine and easy-going demeanor make it a well-rounded motorcycle that doesn't easily get outgrown. This 2001 specimen is the model's first generation fitted with performance parts by the owner with less than 20,000 miles usage; a well-loved bike in need of a new family. Another flexible sporty by Suzuki. Like the SV, the Suzuki Katana is also considered to be an extremely versatile motorcycle with a slightly more radical, pleasing silhouette. Its stretched out wheelbase also allows for a lower seat, easily accessible to shorter riders who don't have legs for miles to comfortably reach the ground on both sides. This version of the Katana is a lively ride and, unlike many sportbikes that require the passenger to maintain creative yoga poses on the pillon, the passenger will actually sit rather comfortably on the Katana. 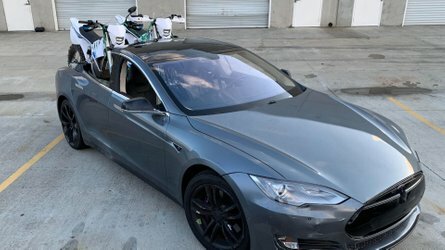 For under $3k you get a bike in need of a tune-up, but with barely 4,000 miles clocked in. 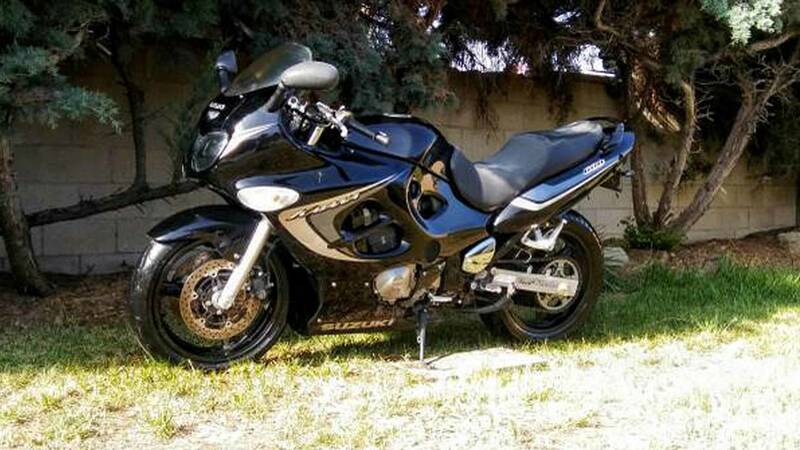 Did you know that you can own a fiery, passionate Italian sportbike for less than five grand? It's true! Take this bike for example. 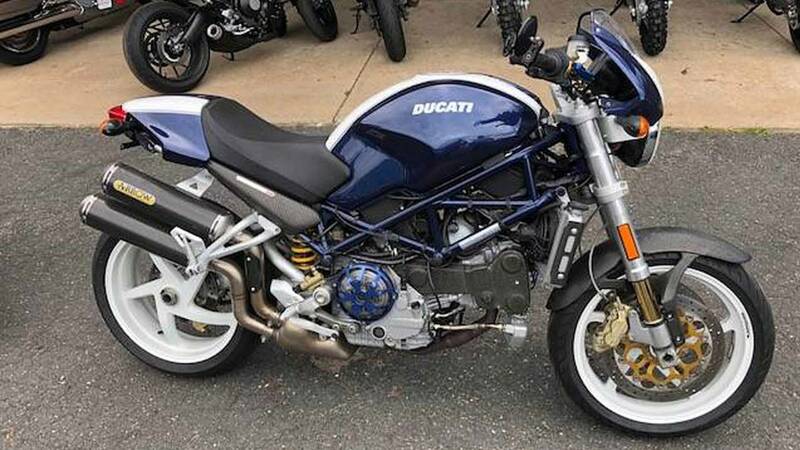 Hailing from Northampton, Massachusetts, this 2004 Ducati Monster S4R is on the block for a cool $3,699. In its day, the S4R was the top of the line Monster, so you're getting one of 2004's best bikes for a song. One of the better sports models you will lay hand on. 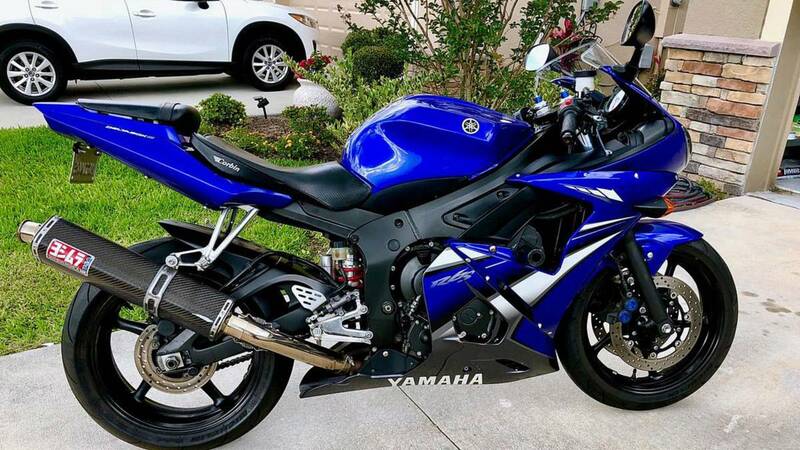 With a nearly 20 year run, the Yamaha R6 remains one of the best all-around sportbikes on the market. It not only looks good, it also benefits from Yamaha's reliability. This fine specimen is down in Orlando, Florida, and is quite a find. 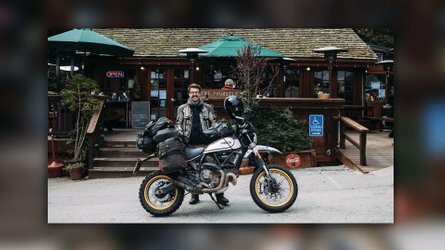 It's obviously been well loved by the owner—garage kept, meticulous service records, receipts, etc.—and has a few aftermarket goodies like a Yoshimura pipe, custom saddle, HID lights, etc. It has 24,300 miles on the clock, and with the way it's been maintained, it should be good for many, many more. So there you have it. This list is obviously just a taste, just to show you that you definitely have some options when it comes to affordable used sportbikes. 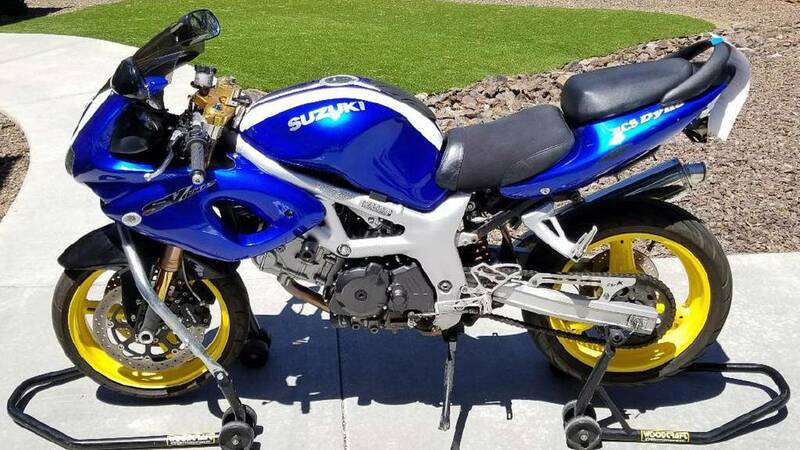 So, if you're looking to get into a sportbike, or looking to upgrade your current ride, and you're on a budget you can definitely make your dollar go farther in the used market.